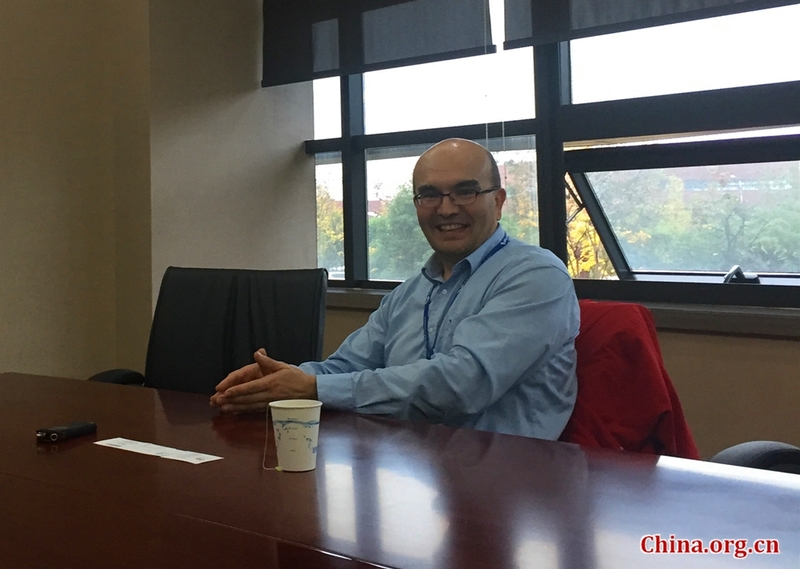 A foreign aviation expert in the noise control field has shared his green vision for the future in an interview with China.org.cn. Cyrille Breard, who works for the Commercial Aircraft Corporation of China (COMAC), said the next most important milestone for the organization would be certification for China's own generation of big planes. He explained that aircraft noise has to be controlled within internationally-set standards, and lower noise will not only produce environmentally-friendly flight, but also provide passengers with a quieter journey. In addition, lower noise will also extend aircraft life and reduce noise exposure around airports. "As new regulations will become effective on Dec. 31, that is very challenging in order to meet the new standards during the design phase that started in 2010-2011. It takes about five to 10 years from the design stage to the flight and entry of service, and every part of the airplane design affects the noise levels," he said. China's homegrown large passenger plane C919 started to undergo test flights this year. It is comparable to the updated Airbus 320 and Boeing's new generation 737 planes. With the help of his Chinese wife, Chen Xuehong, Breard sent his resume to COMAC in 2010 and became part of the development of China's commercial giant aircraft. He has lived in China ever since. The American engineer of French descent won the 2012 Chinese government's Friendship Award and met Chinese President Xi Jinping, the highest honor for a foreign expert. As someone closely involved in environmental issues, he proposed to Xi that China should encourage citizens' initiative and participation to enhance social awareness of environmental protection. Even today, when he talks about what he would suggest to the Chinese government, it is still about the environment. He hoped there would be reduction of paper use in many official procedures. "China has so many IT companies that can help improve efficiency, energy conservation and protect the environment," said Breard . He has studied Chinese policies and has an open mind for the future. While the speed of China's growth is so outstanding, with big planes and bullet trains becoming China's big brands around the world, some may see this as threat. However, Breard believes the competition is good, inspiring the various competitors to provide even better products, which is beneficial for the market and the consumers. A foreign aviation expert in the noise control field shares his green vision for the future in an interview with China.org.cn.